When patients walk through the door of a special secure unit at Inova Fairfax Hospital, it's often the worst day of their life. It is where a special team of nurses treat survivors of sexual assault and domestic violence and gather evidence. 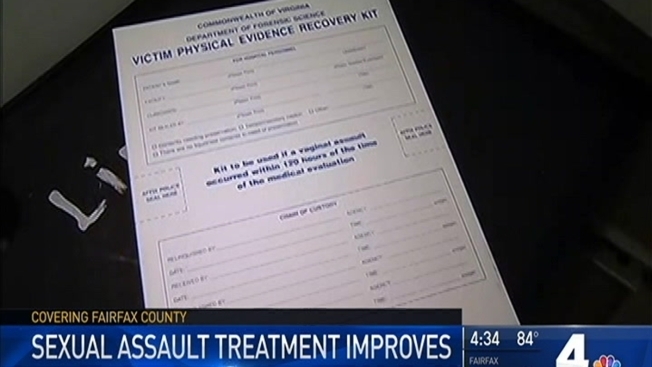 "It really depends on the type of assault and the person, but typically, it's scary," Ariel Ward, a sexual assault nurse examiner (SANE) said. "It can be very overwhelming, you know, sometimes there's a lot of people, especially if a detective is here, an advocate." Until now, staffing shortages left some victims languishing in the waiting room for hours. "The worst-case scenario would be that we would know they had to wait and then the person decided against completing the exam," said Diana Ortiz, an advocate who accompanies sexual assault victims to exams. But on Thursday, Inova Fairfax and local leaders celebrated a grant of more than $500,000 that has allowed the unit to expand to a 24/7 operation. The grant funds four full-time and two part-time nurses. Ward is now full-time and said the boost in staffing means far less waiting for victims. "Having people here immediatley definitely increases, in my experience, the positive impact of their experience and increases, in some cases, the chance that they will report or talk to law enforcement," Ward said. The nurses also see victims of strangulation, examining them for physical evidence of the crime. "Since 2013, we've seen an increase close to 40% in the number of cases of patients that we've cared for," Mary Hale, deputy director of the hospital, said. In 2016, more than 700 adults and children came through the doors of the sexual assault unit. But now, the nurses are more prepared than ever to give patients the care they need.